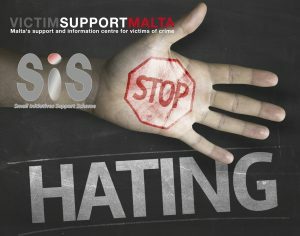 Hate speech is a crime.The 2012 EU Directive establishing minimum standards on the rights, support and protection of victims of crime aims to strengthen the rights of victims of crime by including new rights not previously included in European ( or national) legislation. These new rights include the right to information and support. The Directive provides legally binding minimum standards that all EU Member States must fulfil to ensure that victims of crime receive the best possible care and support in the aftermath or crime. The project entails the development of content which will create a point of reference for those seeking information pertaining to hate crime. The information will be organised according to the rights emanating from the said directive and other legislative instruments, and will be provided in the form of FAQ’s which victims or practitioners can refer to. The website should be complemented by a PR and Facebook campaign through which the information contained therein would be promoted. Download our literature review: Literature Review – Supporting hate crime victims through information provision.